Large companies spend millions of dollars creating their logos and brand images and smaller companies try and make up their own, but the brand logo of a company is vital to their overall marketing strategy. If you need any proof of how powerful a logo can be, then try this quick logo quiz at quizable.com and then come back here and check out some of the hidden meanings behind those logos. You’ll be surprised at just how many corporate logos are actually embedded in your brain, and that means that they have worked! Sometimes, though, companies so get things very wrong. The UK postal service, for example, once spent one and half million pounds sterling re-branding the company to be called ‘Consignia’ and then just fifteen months later, when they realised that the British public still had no idea who, or what, Insignia were, the company re-branded again, back the Royal Mail. So, read on, and you will find out the hidden stories behind some of the world’s best known corporate logos, some of the mistakes that even the big companies have made with their logos as well as some of the most ill-conceived logos that you will ever see. Probably one of the most instantly recognisable logos on the internet is that of the mighty Amazon. The name itself was chosen as it represents the diversity of the products that it sells, as in the bio-diversity of the Amazon rain forest and the logo has a hidden meaning too. The arrow that runs under the company’s name represents and a smile and it also shows the products that the company sells run from A through to Z. Given how often Steven Spielberg’s film production company, DreamWorks, use computer generated images in their films, the origins of their logo is quite surprising. The logo was designed to represent the golden era of Hollywood. It was originally a computer generated logo, but Dennis Muren, from Industrial Light and Magic, thought that a hand painted logo would work better. The logo was hand painted by a friend of Murren, Robert Hunt, and the boy fishing in the logo is Hunts’ own son. There are no hidden meanings behind the logo of the Japanese electronics giant, sharp, just a bit of interesting history. 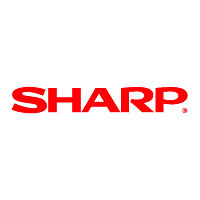 With only a few minor tweaks over the years, the Sharp logo is the same logo that the company has used since it was formed in 1912 and the original founder of the company drew the logo. The company is called Sharp because when they first started in business, they were making mechanical pencils. The name of the famous triangular shaped chocolate bar comes from the original creator of the chocolate, honey and nougat treat, Theodor Tobler and the Italian word for a type of nougat, torrone. The mountain is a depiction of the Matterhorn and, if you look closely at the now on the mountain, you will see a bear, which is the official symbol of the town of Bern, where the chocolate was first made. 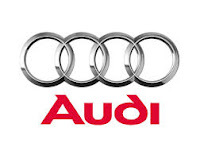 You might have thought that there is something deep and meaningful about the rings in the Audi logo, but is actually no more than a representation of the four companies, DKW, Horch, Wanderer and Audi who merged together into a consortium in 1932, working together in perfect harmony. And, in case you’ve ever wondered, Vorsprung Durch Technik means ‘Lead through technology’. The Sony Vaio logo is one for the likes of Sheldon Cooper from the Big Bang Theory. The name itself, Vaio, is an acronym of Video Audio Intelligent Organizer. The logo consists of the wave sign to the left, which represents analogue technology and the 1 and the 0 to the right represent the binary code as used by computers. The FedEx logo is designed to convey the company’s core ideals of logo, speed and precision through something called negative space. If you look between the ‘E’ and the ‘X’ of the logo, you will see a hidden arrow that, apparently, conveys this message. Presumably Trojan chose their name to convey strength and masculinity, but they didn’t really think through their mythology properly. 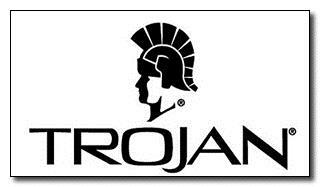 When most people see the word Trojan, it’s the Trojan horse that they think of. A container that splits open, once it was inside its destination, and released thousands of little warriors! You have to look several times at this logo for clothing brand A-Style, to catch the hidden image. Apparently, the hidden image, in the seemingly innocent logo, was created deliberately and the logo created an internet buzz around the globe that made the brand famous, even before the company had started to sell any product. If you can’t see it, keep your eyes on the image, move your head slowly to one side, and the hidden image comes into view. One of the most ill-conceived logos ever must have been the 1973 logo for the Catholic Church's Archdiocesan Youth Commission. Some people insist that this logo is actually a fake and that there are no references to it ever officially having been used. But, then they would, wouldn’t they?